Goya 79, 28001 Madrid, Spain. 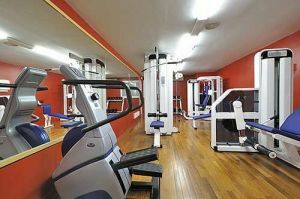 Hotel Vincci Soma was refurbished in 1999 and it is located at 5 minutes from the Alcalá street and about 5 minutes from the 'Parque del Retiro'. Besides the rooms the hotel counts with 7 spacious apartments for large stands. It is also includes a librery with staple pit and the hotel also offers 177 well-equipped rooms with television, ADSL internet connection, phone, air-conditioning and bathroom. Paid covered parking at the hotel (23.54 €). Park, Centre, Near the historic centre. 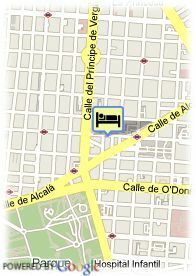 For older children and adults 42.80 € for each additional bed is charged.